Starting this month, Little League® International is providing a quick look at important information and events for the month ahead. We invite you to review and share with your colleagues and friends. Another great resource for keeping up to date on Little League’s latest training and educational efforts is Little League University. Designed for volunteers, league and district administrators, coaches, and parents, this free website is a wonderful portal for experiencing and learning about the Little League. • New District Administrator (D.A.) Training – Newly-elected District Administrators, or those who have completed a year as a D.A., will be guests at Little League International in South Williamsport in early October for two days of training sessions, networking events, and a series of meetings to help prepare them for their new leadership role to support the Little League programs in their home communities. • Europe and Africa Regional Meeting – This October, more than 30 volunteers from the Europe and Africa Region will gather together at the Little League Baseball European Leadership Training Center in Kutno, Poland, to discuss important topics surrounding the region and continue to find new ways to help grow Little League Baseball and Softball in their respective countries. 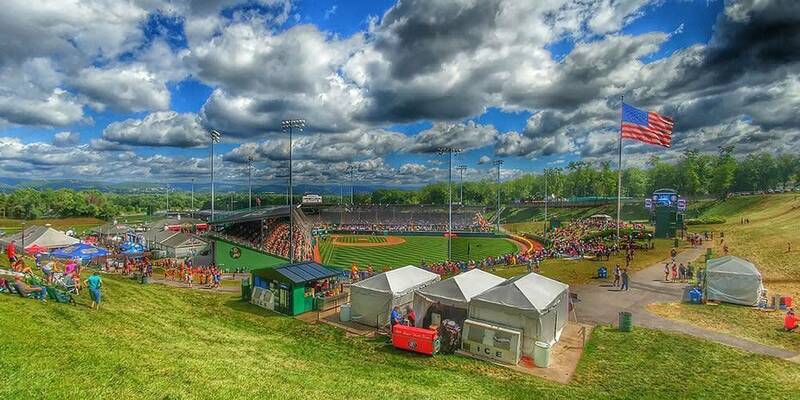 • International Advisory Board Meetings – Welcoming six new members for 2017, the International Advisory Board, made up of District Administrators from all nine Little League regions, will gather at Little League International in South Williamsport. The mid-October meeting will include two days of discussion regarding important topics to help shape the future of the Little League program. October is one of the most exciting times in baseball, as the Major League Baseball playoffs start to heat up. In honor of the MLB postseason, check out some of the notable Little Leaguers that have played in both the Little League Baseball World Series and the MLB. • Insurance Coverage – For leagues participating in the AIG group insurance program for Little League, coverage expires on December 31.
o It is important that leagues enroll and pay for their insurance coverage for the 2017 season as soon as possible prior to January 1, 2017 to avoid a lapse in coverage and to ensure your coverage is effective on January 1 for the full 12-month policy period. o Local leagues are also strongly encouraged to enroll in the crime insurance policy to protect the league against monetary loss caused by dishonesty, disappearance of money, securities or other property, and destruction of money or securities as well as burglary or theft of property and/or money. o New for 2017, the AIG group Liability Insurance Program for Little League will include Cyber Liability Insurance to provide coverage for third-party claims from a failure of the league’s network security or a failure to protect personal data (electronic or paper); or direct first-party loss mitigation costs of responding to a security failure or privacy breach. o More information on insurance coverage can be found at LittleLeague.org/Insurance. • First Advantage Background Checks: The 125 free background checks the Little League International affords for its local leagues, will reset as of Nov. 1. • Additional Help: Additional resources and tips on what local Little League volunteers should do as the year wraps up can be found on Little League University.